Collection, handling and husbandry of the Scalloped Hammerhead Shark. Cairns Marine is excited to announce that our curator Laura Simmons will be giving a presentation at the upcoming RAW (Regional Aquatics Workshop) to be held at New England Aquarium, Boston, May 8-12, 2017. 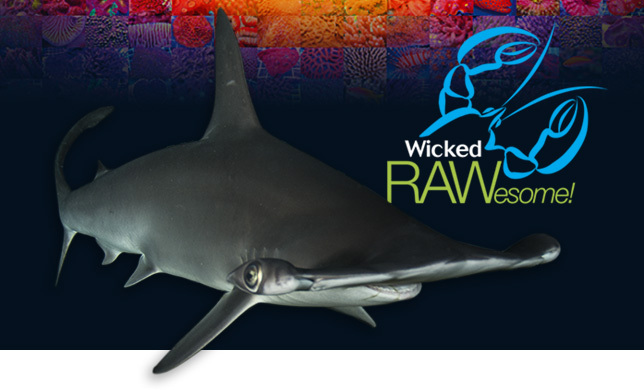 Established in 1989 the RAW conference has its origins among the USA public aquarium community but has grown year on year to become an eclectic international workshop for anyone interested in the husbandry, conservation and policy of aquarium species. Laura’s talk will focus on the collection, handling and husbandry of Sphyrna lewini - the scalloped hammerhead shark - from Queensland, Australia, with special reference to what Cairns Marine has learnt from working with these sharks in recent years. Because hammerhead shark populations are threatened and declining globally, they should only be sourced from fisheries with strong management practices and demonstrably robust, sustainable populations, like the Great Barrier Reef Marine Park. By contributing further knowledge to the public aquarium community at RAW we hope to advance husbandry knowledge, creating stable, mature captive populations that eventually will lead to captive breeding success. Don’t forget to check in for the web version of Laura’s talk with great videos and pics straight after RAW!